Colorado "Cannabis Credit Co-op" Bill Passes House . A bill to create "cannabis credit co-ops" to handle financial services for marijuana businesses passed the House last Friday. House Bill 14-1398  now heads to the Senate. The legislative session ends this week. Florida Poll Has Support for Legalization at 53%; For Medical Marijuana, It's 88% . A new Quinnipiac Poll  shows majority support for marijuana legalization and near unanimous support for medical marijuana in the Sunshine State. There is no legalization on the ballot there this year, but there is a medical marijuana initiative , and with numbers like these, it has a pretty darned good chance of passing. That would make Florida the first full-fledged medical marijuana state in the South. Minnesota Medical Marijuana Muddle . Two separate, competing medical marijuana bills are now in play in Minnesota, Senate File 1641  and House File 1818 . The St. Paul Pioneer Press has a good article summarizing the bills, the differences, and the politics behind them. Both bills are set for hearings today. Click on the title link to get the low-down. 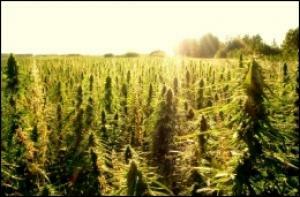 Hemp Planting Event to Take Place Next Week in Kentucky . The industrial hemp advocacy group Vote Hemp  has announced that it has partnered with the Kentucky nonprofit Growing Warriors  to organize an industrial hemp planting in Mount Vernon, Kentucky, on Friday, May 16. Growing Warriors is a group that seeks to get returning veterans involved in agriculture. The seed planted will be provided by the state Department of Agriculture and will be grown as part of a research and development program with Kentucky State University. Click on the link for more details. Missouri Legislator Vows to Keep Fighting for Hemp . State Sen. Jason Holsman (D-Kansas City) has been pushing hemp legislation at the state house for years. It isn't going to happen this year, he said, but vowed to keep pushing. "Are we a free people to grow a plant that we find industrially applicable especially when it comes to clothing, rope, fibers and all the things we know that we know we can do with the hemp plant?" he asked. Uruguay Unveils Marijuana Commerce Plans . Uruguay is expected to formally roll out its marijuana commerce rules tomorrow, but word has already leaked out that they will allow consumers to purchase up to 10 grams a week at a price of less than $1 per gram. Consumers will have to register before they can buy it in pharmacies, which should have legal marijuana in stock by December. The government will issue between two and six licenses for commercial growers, which it calls on to get planting "no more than two weeks after the decree enters into force." Buenos Aires Sees Largest Global Marijuana March Ever . An estimated 150,000 people filled the streets of Buenos Aires, Argentina, from the Plaza de Mayo to the Plaza del Congreso Saturday in what is certainly the largest marijuana protest ever. "No Jail for Cultivation -- Regulate Cannabis Now!" was the theme of the march. Click on the link to see a pic of the crowd.